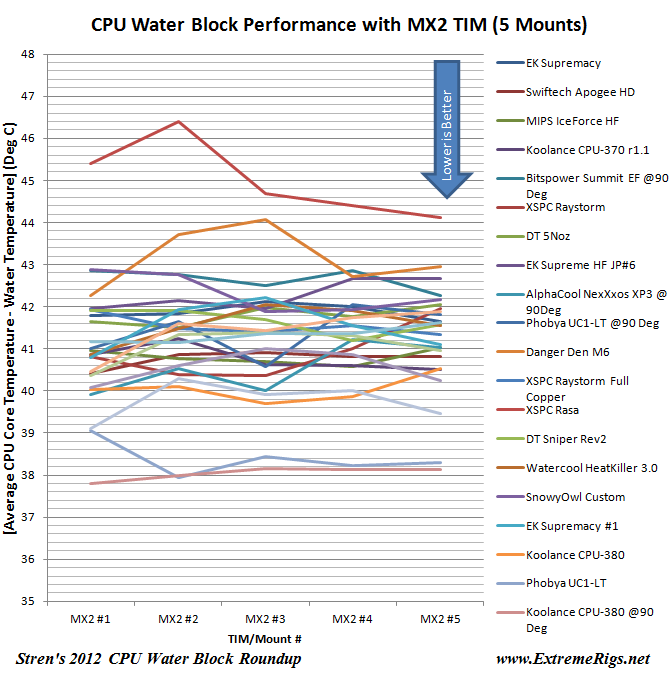 To validate the performance of the water blocks under comparison, the all water blocks were tested with the CPU running at stock and at a known stable overclocking speed using an X99-based motherboard and using the XSPC Raystorm D5 Photon RX480 V3 WaterCooling kit, so that comparative results could be provided for Haswell-E based systems. The benchmark tests used should give you a good understanding of the tested water block capabilities so that you, the reader, can make a more informed purchasing decision. The 64-bit Windows 7 based test bench used for Intel X99 LGA2011-v3 board testing includes an Intel Core i7-5960X CPU, 32GB of DDR4-2666 memory, an ASUS Poseidon GTX 780 3GB graphics card, and an Intel 730 240GB SSD drive. Using the selected components gives us the ability to demonstrate the cooling system's capabilities rather than that of the system components.